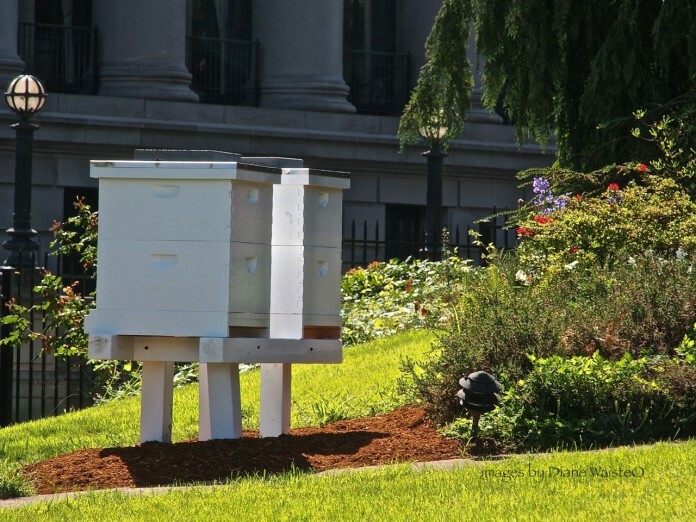 The project between the Olympia Beekeepers Association and Department of Enterprise Services is intended to raise public awareness and also improve pollination around the Governor's Mansion and Capitol campus. Photo credit: Diane Waiste. On April 20, 2016, the Olympia Beekeepers Association brought approximately 30,000 European honeybees to the Capitol Campus. The bees were placed in two hives positioned in the front lawn of the Governor’s Mansion. The bees and hives are part of a collaborative effort with the Department of Enterprise Services and Olympia Beekeepers Association. 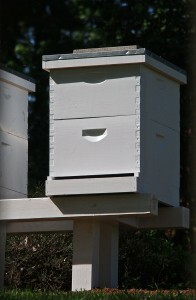 The “brood” boxes were installed by the Olympia Beekeepers Association. Photo credit: Diane Waiste. The purpose is to raise public awareness about the decline in bee populations throughout the United States, and the special importance of honeybees to the food we eat and Washington’s agriculture economy. 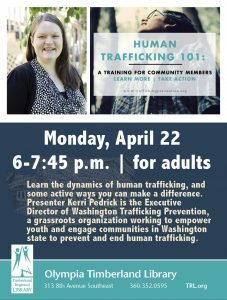 Another goal is to boost the pollination of plants at the mansion and on the campus, including the Thurston County Food Bank vegetable gardens on east Capitol Campus managed by the Kiwanis Club of Olympia. 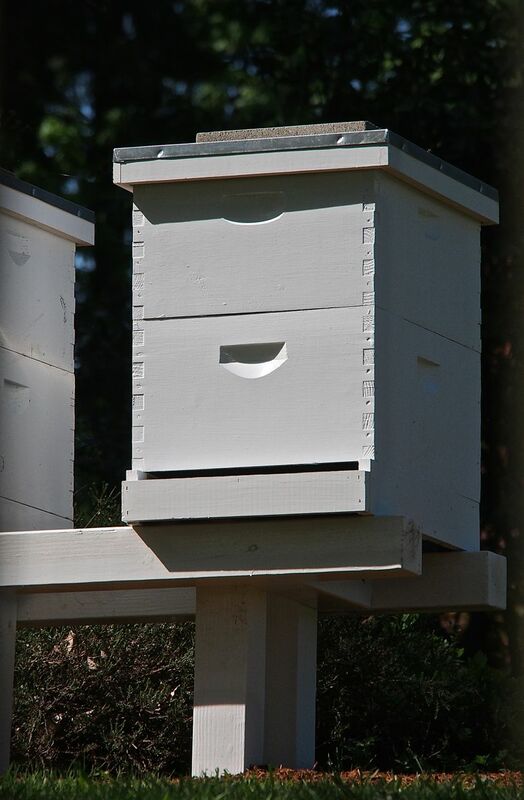 The Olympia Beekeepers Association set up the two hives on the mansion lawn on April 14, 2016. The hives will initially consist of a stand and a single large “brood” box, which is where the queen bee will lay her eggs. Later in the spring, smaller boxes will be stacked on top of the bigger on to store excess honey. Olympia Beekeepers Association members will be responsible for the care and upkeep of the hives.